Public Domain (P)2015 Audible Inc.
What made the experience of listening to The Art of War the most enjoyable? The simplicity, the sensibility that Sun Tzu brought to chaotic war. Which character – as performed by Aidan Gillen – was your favorite? Please have Aidan Gillen narrate The Prince next, and really anything else. This man could read a phone book and I'd pay for it. This ancient text may apply to many people's work. Anyone who works in a competitive environment can benefit from it, even if only a little. Even if you can't benefit from it, this work might help the listener to understand historical works dealing with wars better. The reading is excellent. Aidan Gillen does a great job reading the text. I don't know if it's because I've been watching Game of Thrones for four seasons, but it sounds like he's using a kind of Littlefinger voice here, which adds to the effect. 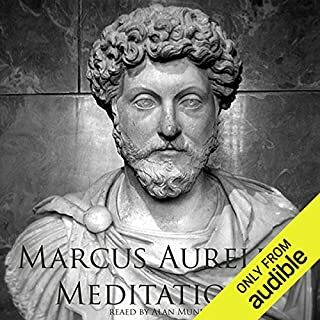 I'd recommend this audiobook to pretty much anyone, even if they don't have an army. He was a big guy for me. And he had a lotta loyalty for a hired gun. This is a classic text and the narrator fit it well. If you are interested in strategy this is a required text. Stroke of genius having Aidan Gillen read Art of War. His gentle Irish brogue is tough yet alluring. And as a fan of GoT, I can see Littlefinger conspiring over this document and making these words his own. Well done! Aidan Gillen delivers a great performance and keeps the listener interested and engaged through out the entire book! The Art of War is a time tested classic of strategy and martial wisdom. 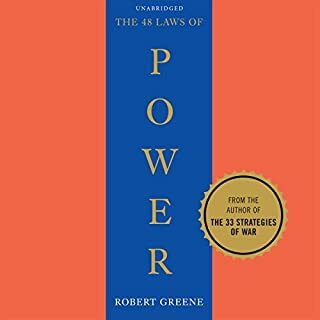 The reputation of this book is extremely well known, so I won’t bother reviewing Sun Tzu. If you’ve ever been interested in this text, go for it. If you’re reading this review, my guess is that you’re wondering about the performance. In short, Aidan Gillen knocks it out of the park. If you’re a fan of Aidan Gillen (or Game of Thrones in general) what could be cooler than being schooled in the art of war by Lord Petyr Baelish himself? You owe it to yourself to give this a listen. Highly recommended! The art of war is a densely compact book. Sun Tzu’s rhetoric and manner of explanation is to be recommended. I would recommend listening to this many times as, whilst you will pick up many things said the first time all of what has been given requires active thought. I was delighted to discover that some of the advice given can be used in our daily lives, perhaps not leading men into battle but preparing for confrontation will always be necessary. I have listened to the book while multi tasking and in heavily noise locations without missing key point Sun puts out. The Art of War strategies once implemented in the day today activities can have great impact. I am surely going to listen to it the second time in a more calm and quiet environment. I wasn’t sure what to expect when I bought this audiobook. 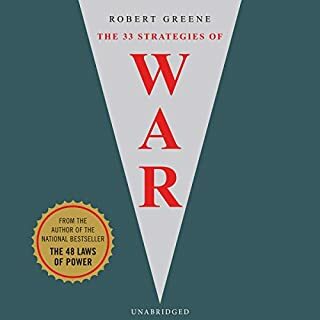 I had heard of the Art of War and always wanted to read it, as any book that was written more than 2000 years ago and still holds reverence must be worth reading (or listening). The book seemingly offers very generalised advice to military leaders (no pun intended). However in my understanding of the text there are much wider applications of the wisdom shared by Sun Tzu, namely patience and the value of self reflection. As such this book transcends any notion that it is merely an ancient text on military stratagem and is much more akin to allegorical philosophy. Adian Gillen’s ‘performance’ was excellent, although I have not listened to many audiobooks so I’m not sure what a good performance constitutes. That being said, he has a pleasant, cool and clear voice that resonates well with the text. Although I concede that at times I couldn’t shake the sense that, Petyr Baelish ‘Littlefinger’, was reading this book to me especially when speaking about spies. There is no story and as such I marked it as five stars. It seemed to make more sense than marking no stars. Very much worth the price paid, I didn’t use my token though. I thought it might be a waste given it was so cheap to buy. The narrator had a train to catch. Sun Tzu speaks with great insight, wisdom and clarity, but the Aidan Gillen spoke too quickly and with no emphasis. He should have paid attention to Sun Tzu's warning not always do the same thing. Didn't recognise the actor's name but when I recognised him I thought it was an excellent choice. He has a very dry and engaging voice. It was quite informative and I like all the definitions e.g. intersecting ground. I think I'll have to listen to this again so that all the points sink in. something I've intended to read for a while, and Aidan Gillen gives an excellent delivery. I'm looking forward to listening to this one again already. The insight into the nuances of war, and the intricacies of character that allow success or failure, is one that can be appropriated to many aspects of life. Incredibly performed. Compelling story with loads of interesting points. 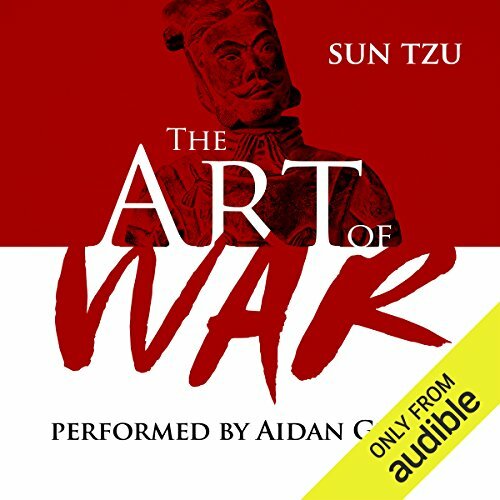 Would you consider the audio edition of The Art of War to be better than the print version? I've never read the print version but have always wanted to. I'd still like a copy so I could go back and study certain tactics, but I understood everything in the audio version. What other book might you compare The Art of War to, and why? Bushido? Only because of the historic aspect and the fact that it teaches you a way of life & war. What about Aidan Gillen’s performance did you like? I couldn't think of anyone better to narrate than Aidan Gillen. As soon as I saw that he was the narrated I instantly bought it. He adds a level of cunning and guile that is required in a tactician and no other narrated could have pulled off. This isn't the sort of book you could turn into a film - a documentary though. Perhaps "War is barbaric, War is an art"? Aiden Gillen does a great job of narrating this classic. Many are the transferable tactics, strategies and mindset towards any business, political or economic venture worth pursuing. Definitely worth investing in! short, strategy oriented old guide. it's ok.
the narrator its ok and the book is ok, it's about strategy millenniums ago so, not that useful. It has strong messages with diverse meanings and I found that I could put some of the advice in my personal life. but as said, short and old. Though I am a huge fan of Game of Thrones, I was never particularly fond of Aiden Gillen's performance as Petyr Baelish. 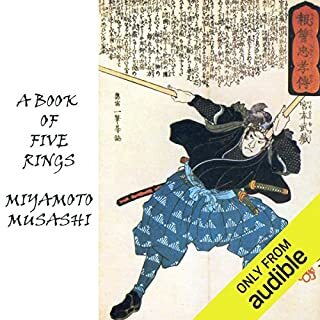 Here, however, he outdoes himself and provides terrific narration for The Art of War. A brief and enjoyable listen, not to mention fascinatingly educational. And you thought he ran a solid bordello? Littlefinger narrates The Art of War. 'nuff said... except these seven words required for review. 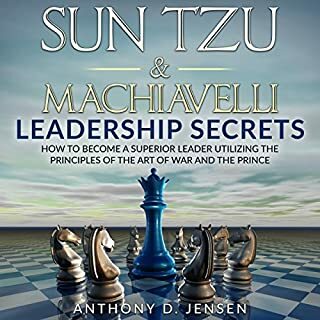 I truly enjoyed this translation of The Art of War, both the strategies and tactics themselves and the way Sun Tzu's hands the advice down. Indeed the content is often dry, with absolute clarity with each factor and situation described; there is no room for ambiguity. Somewhat surprisingly to me, I found the lack of fanfare both engaging and refreshing. My darker sense of humour is tickled when Giles describes outcomes for the weakest of leaders. I am sure Giles detected a tone of disdain in sections within the original. Some sections feel slightly repetitive, but the flow of the chapters and the overall message remains intact. As an avid fans of the Game of Thrones television, I'd argue no other character plays the cold strategist as does 'Littlefinger'. He is stone-faced in both planning and execution of his political agenda; even the few bouts of passion seem only a dramatisation for the benefit of the ruse, and not genuine emotion at all. This is why I believe the reading by Aidan Gillen is so perfect for this book. With Gillen's voice already associated with the detached persona of Baelish, the delivery parallels the cold strategic and tactical content. Hearing Gillen speak of 'utter disorganisation' and 'the coyness of a maiden' caused me to chuckle quietly, highlighting again the precise matching of the reading to the text. 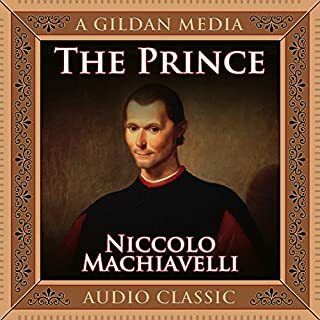 LAST WORDS: If you have ever enjoyed an episode of Game of Thrones, and found yourself having even a single enemy, do yourself a favour: spend 67 minutes listening to this engaging performance of a most important work. Though references to banners & chariots may betray the relevancy of Sun Tsu's insight in daily life, the art of war is a truly fascinating read. it's Gunna take quite a few reads to get a really good handle on the context of this one. It's a classic for a good reason! I think anyone involved in a competitive endeavour ought to read this book. The reading was breathlessly dramatic, which was amusing. Little finger reading the art of war! How appropriate that Little Finger from the Game of Thrones is reading the art of war, I thoroughly enjoyed this reading. as Sun Tzu said "You should read this book"
a great book with a fantastic reading from everyone's favourite game of thrones spy master! I was amazed by the amount of detail, awesome book. I recommend it to those in the business of business.